Google Sitemap is the most easiest way for your website to be indexed and updated by Google Search Engine. This is the quickest way to inform Search Engines what pages your websites have. However remember that submit the sitemap to Google Search Engines doesn't guarantee that the pages will be indexed. changefreq (change frequency) - how often the page will be modified. The values are: never, weekly, daily, hourly, monthly or yearly. How to Create a Google SiteMap File? There are many free online sitemap generator or builder on the Internet which generate the XML codes within a very short time. xml-sitemaps.com - Very easy to use. Allow you to generate maximum 500 indexed pages. Sitemap can be downloaded.Allow to setup Change frequency, Last modification and Priority. sitemapspal.com - It seems that only the first level pages will be generated. Pages inside directories will be ignored. sitemapdoc.com - Allow to edit Change frequency, Last modification and Priority after links generated. Sitemap cannot be download, just copy and paste the codes. Check Download option to download the sitemap if required. Some website will generate the XML codes in a TextArea field so you have to copy and save the codes as sitemap.xml. Download the sitemap XML file. The sitemap XML file is ready. It is time to submit the sitmap to Google Search Engine. How to Sumit Google Sitemap for your Website? Login your Google account with your Gmail email address. 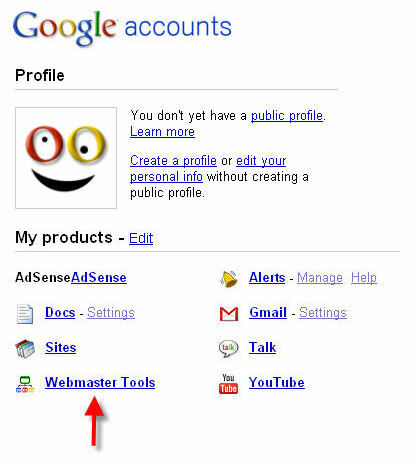 Navigate to "My Account" after successful login your Google account. Click on "Webmaster Tools" under the "My products" menu. 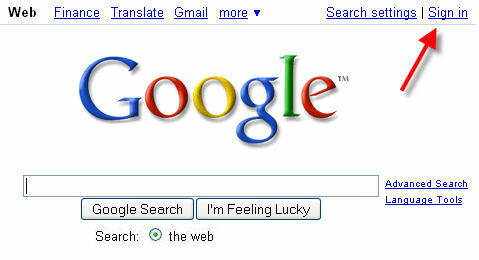 Add your site by clicking the "Adding a site" link if you did not add your site to Google before. Verify your site according to the instruction. When you are done. Click on the "Submit a Sitemap" link. Next time you wish to update the sitemap, simply click on the Resumit button. This page discuss how to submit a Google sitemap.